Why must some relationships end? I discovered Blogging for Books toward the end of 2014. For those who don’t know what it is, Blogging for Books is a website created 10 years ago to help bloggers connect with publishers to get access to books for review purposes. For someone with such a small blog like my own, it was a boon. Unless you have a minimum of 5,000 followers, most publishers don’t want to work with you. Trust me, I’ve tried. Back in 2014, I wished that I had found the website sooner. As of this week, the closure of Blogging for Books was announced. Saying that I was sad when I heard the news is an understatement. I’m now back to floundering as a small time blogger. And I am always going to be a small time blogger. I did a weekend workshop once with people who all wanted to be food journalists (not necessarily food bloggers, so I was a bit out of place), and several people were amazed that I had absolutely no ads on my site. Unlike my classmates, I was the only person who blogged purely for fun. I don’t want to turn my hobby into a job. I don’t want to churn out content everyday or every other day. Food blogging has always been an outlet for me. It’s a place where I can funnel my experiences and thoughts on this one subject that is important to me. So here’s my good-bye to Blogging for Books. Its value as a resource to me can’t be quantified easily. I can only hope that I can find a replacement, or that publishers will one day take this little blog of mine more seriously. 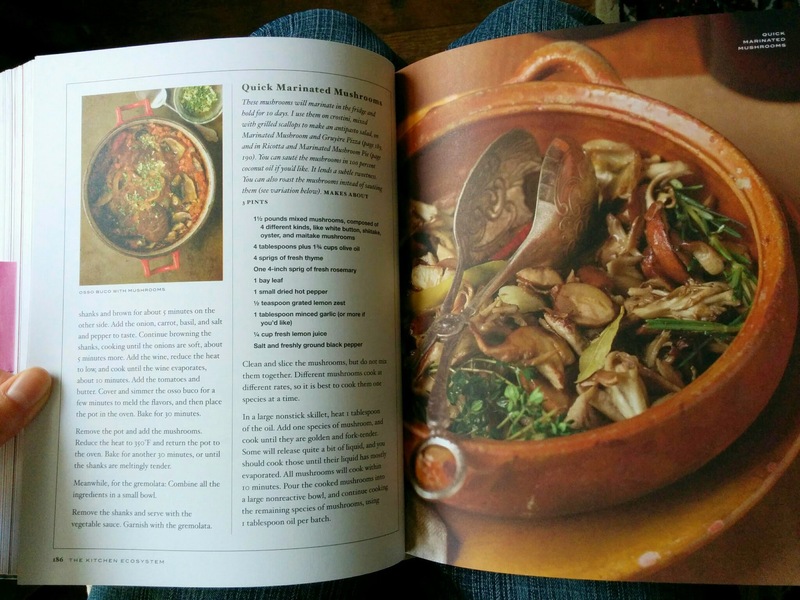 My most recent cookbook acquisition is Martha Stewart’s Slow Cooker, which I was pretty dang excited about. I appreciate a good slow cooker recipe, but the only other slow cooker cookbook I have is America’s Test Kitchen’s Slow Cooker Revolution. I have used the ATK book, but probably not as often as I should. Amazingly, I feel like the recipes in each book are different enough that the books complement each other in my cookbook collection. Good variety of recipes. The book is divided into these sections: meat, poultry, seafood, meatless, side dishes, breakfast, sweets, and stocks/sauces. There is a decent global feel to each of the sections. For example, chicken section includes the following recipes: chicken tagine, Tex-Mex chicken and beans, chicken mole, Hainanese Chicken, and Ethiopian Chicken Stew. Every recipe comes with a photograph. Most of the recipes are not intimidating. Some of the recipes require stove top cooking as part of the prep work. In the boullabaisse recipe, you have to soften in a skillet the vegetables, aromatics, and then cook down diced tomatoes. After all that, then you get to load up the slow cooker. This might just be me being greedy, but I’d prefer if most of the sections had a few more recipes. The meat section has a little over 30 recipes. The poultry section has 18 recipes, 4 of them are duck recipes, and only 1 recipe is turkey related. The breakfast section only has about 9 recipes. Honestly though, I have high hopes for this book. I made the chicken korma recipe this past weekend. Overall, I was very pleased with the results. It was a little unusual for a chicken korma recipe since it involves cashew butter and almond butter (it does mention that you can blend up nuts instead of getting the nut butters), but I think it does add to the texture of the korma sauce. Disclaimer – I received this book from Blogging for Books for this review. I’m not getting paid for this post. I love the sub-title for The Basque Book, by Alexandra Raij with Eder Montero. It says, “a love letter in recipes from the kitchen of Txikito.” It’s a bit poetic, yes? I guess it fits my mood these days. That and some part of me wanted to expand my culinary horizons. Do I need another cookbook? No, but we’ve had this discussion before. I had the chance to pick up The Basque Book or The Wurst of Lucky Peach. I waffled between the two books for a few days before settling for the former. Eventually, I decided to pick the one that felt more out of my comfort zone. Luckily, I’m pretty happy with this book. The pictures are has romantic as the sub-title. It’s also definitely filled with recipes that are generally unfamiliar to me. Unfamiliar doesn’t have to mean complex though. All the recipes have a very un-intimidating ingredient list. That doesn’t mean that I have easy access to all the ingredients but means that the ingredients list isn’t an entire page long. But there are recipes that are on the to-do list. For me, the lentils with chorizo stew recipe has massive appeal. I don’t have any cured chorizo in my house right now, but I do have cured loukaniko that I’ve been desperately thinking of ways to use. So, a version of the lentil stew is likely happening this weekend. And if it doesn’t disappoint, I’ll try my best to post it. 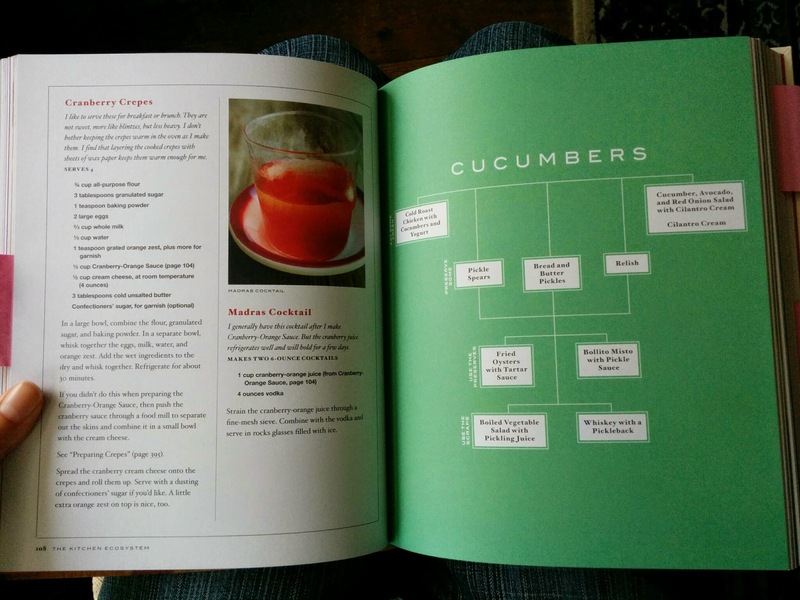 The book is split up into sections by main ingredient/type of dish. They are: basic recipes, tapas/bar type food, vegetables, egg, seafood, soups/stews, Basque recipes for gatherings*, sweets, and then drinks. * = I am having trouble summarizing the Txokos, Asadores, Sagardotegis, and Ferias chapter. It doesn’t help that it’s a relatively small chapter. But I’m glad I made a leap of faith on this cookbook. There’s a good handful of recipes that I think I want to try. 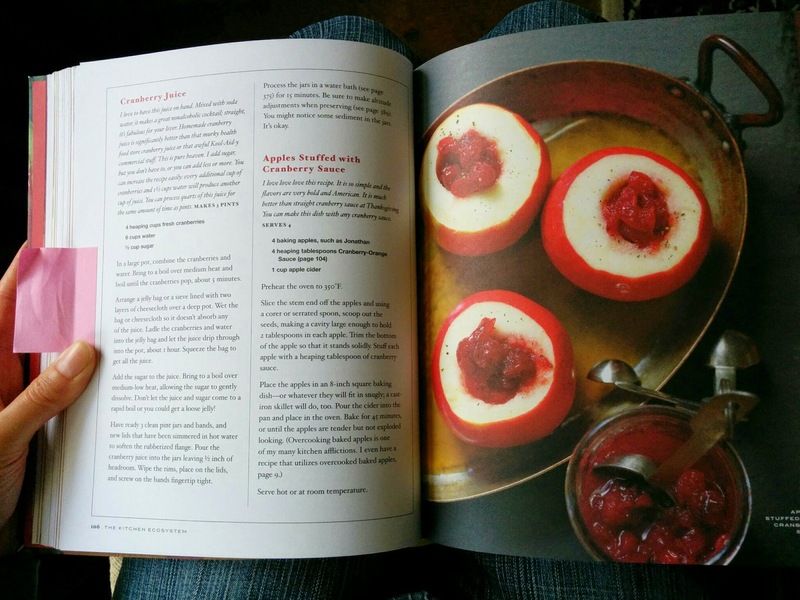 It also makes a lovely coffee table book if you prefer your cookbooks to be visually stunning. Anya Fernald’s approach to cooking is anything but timid; rich sauces, meaty ragus, perfectly charred vegetables. And her execution is unfussy, with the singular goal of making delicious, exuberantly flavored, unpretentious food with the best ingredients. Inspired by the humble traditions of cucina povera, the frugal cooking of Italian peasants, Anya brings a forgotten pragmatism to home cooking; making use of seasonal bounty by canning and preserving fruits and vegetables, salt curing fish, simmering flavorful broths with leftover bones, and transforming tough cuts of meat into supple stews and sauces with long cooking. These building blocks become the basis for a kitchen repertoire that is inspired, thrifty, environmentally sound, and most importantly, bursting with flavor. Still… I think I mostly got the book because I liked the cover. This book is fairly gorgeous. I loved the photo for the blood orange salad. It was vivid and delicious looking. There’s a series of photos for the toma cheese with green herbs that I think is inspiring. The pictures for salmon confit are lovely and bright, contrasting the red-orange meat of the fish against the grey-ish countertop and Fernald’s blue-white striped apron. For people who want lots of pictures in their cookbooks, this one fits the bill. The recipes themselves are varied. The chapters of the books are: building blocks, snacks/starters/cocktails, pasta/ragu/risotto/eggs, vegetables, fish/meat, and desserts. There’s a recipe for liver pate, a savory pie with lots of greens in the filling, cracked crabs with lemon-chile vinaigrette, and twice cooked orange duck. Each recipe is fairly striped down to the essential ingredients. The list length of ingredients isn’t intimidating. If anything is intimidating, it might be some of the ingredients themselves. Rendered pork fat, trotter broth, and bone broth are examples of ingredients that most people don’t keep around. (Well, urban dwellers like me anyhow.) They might get turned off from a recipe for that reason. From Fernald’s perspective, these ingredients are nothing exotic. She’s the co-founder of Belcampo, a farm/butcher shop/restaurant. Belcampo even has a meat camp! Objectively, I would give this book four out of five stars. From a more personal perspective, I’m not sure how much use I’ll get out of this book. At the moment, I’m mesmerized by the cheese-making recipes and the anise seed breakfast cookies. I haven’t given up on this book yet, but realistically it might not live on my bookshelf for too long. I guess it’s more of a three star book for me personally. 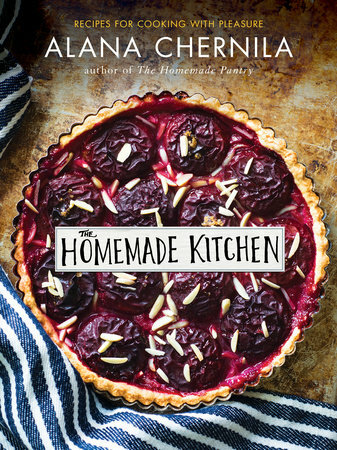 I’ve read through Chernila’s first cookbook, The Homemade Pantry, a few times because it really appeals to the part of me that wants less processed foods in my life. (It’s probably a pipe dream of mine. Work lunches are my downfall, and I’m never going to give up frozen pre-made Chinese dumplings.) So when I found out that I could get my grabby hands on her new book, I didn’t even hesitate. Overall impression? I love it. More detailed impressions and a recipe? Keep reading. My semester at night school is over and done with. I am signed up for more night classes next semester, but I’ve decided to go off track and just take the classes that are of interest to me. This means that I’m taking my next class at noncredit and hopefully that will afford me more mental space to do things I like, like blogging. Anyway, I’ve had a cookbook sitting on my table that was sent to me by Blogging For Books. I’ve been meaning to write about it for what feels like forever. I just didn’t have the time until now. Note – I’m not getting compensated for this beyond getting a cookbook for free. This is my first time using Blogging For Books, and I think I could really like it. When I logged in, there were about five or so cookbooks that I could chose from to review. However, only one of them really caught my eye. About week later, The Kitchen Ecosystem by Eugenia Bone landed in my mailbox. First impressions? I love the layout, the look, and the concept of this book. In general, Eugenia gives you some recipes using a fresh ingredient, like fennel. Then, she’ll provide a recipe to preserve said ingredient. For our example, fennel becomes fennel-pistachio compote. To round out the group of recipes for the ingredient, there are recipes on how to use the preserved product. So in turn, fennel-pistachio compote becomes paired with egg salad or striped bass. The chapters are centered around each ingredient. They are in alphabetical order, starting from apples and finishing with zucchini. There is also a small chapter on condiments, and a small chapter on how to preserve. The pictures really complement the book. The food styling is done so that the dishes look delicious and comforting. Nothing looks intimidating. The only downside to this book is that I don’t think I’ll get to use it very often. Several of the preservation recipes require pressure canning which I don’t have the equipment for. Meanwhile, there are some recipes that just aren’t my thing. There’s a recipe for Fried Ravioli with Grape Must Concentrate. It’s a traditional Italian Christmas dessert, according to the description. I’m sure it’s delicious, and I’d be happy to eat it if someone made it for me. I just don’t see myself ever making it. Overall, I like this cookbook and plan to use it. (Hopefully, sooner rather than later. Cranberry juice recipe, I’m looking at you.) I will have to do some tweaking for those recipes where I won’t have the preserved components prepared in advanced, but I think that’s ok.
Eugenia Bone has a website that is, I think, a fair representation of her style. Feel free to check it out, if the book is of any interest to you.